Stroll the aisles of your local supermarket and you’ll find plenty of vegan food, but usually it’s relegated to a dark corner—meatless knockwurst is hidden below packages and packages of Oscar Meyer wieners. 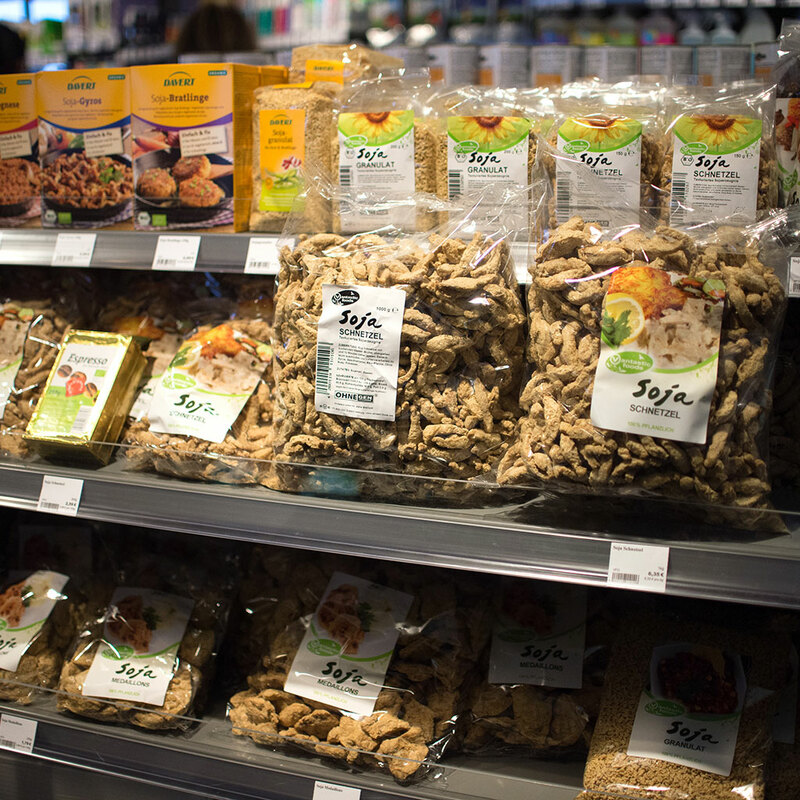 But several years ago, Jan Bredack, a converted meat eater, opened the world’s first all vegan supermarket in Germany. And we’re not talking about some hole-in-the-wall vegan bodega—Bredack opened a grocery store stocked with aisles and aisles of non-meat, non-dairy foods from almost 300 different suppliers from around the world. His first Veganz store proved so successful that he opened more, leaving his native Germany to set up shop in Austria and the Czech Republic. And now he’s getting ready to open his first American outpost. And before you even start guessing we’ll just tell you. It’s in Portland. It’s at moments like this that we are sorry Portlandia is in its final season and Fred Armisen won’t have an opportunity to play a vegan check-out guy. PDX vegans will need to continue to sit tight though. The company hasn’t announced a location or a firm opening date, but last week they tweeted that the store would open in Portland in 2017, a year later than expected. Pushing back the open date does raise an important question: Whatever will Portland do about finding good almond milk until 2017? We’re sure they’ll come up with something. Does Your Vegetarian Hot Dog Have Meat in It?